A graduate from the University of Dar es Salaam with a Bachelor’s degree in Political Science and Public Administration (with Honours), Ocheck Msuva is the Founder and CEO of Bridge for Change (BFC). BFC is a non-partisan, non-profit, non-governmental organization (NGO) led by Tanzanian youth for Tanzanian youth that provides them with career development information, coaching, mentorship and guidance, as well as financial and entrepreneurial skills to succeed in life. 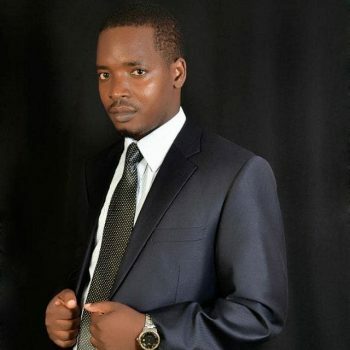 He also serves as Chair of the Board at KITE, a Tanzanian student-led organization focused on transforming student volunteerism to make it a more effective engine for sustainable development. He champions for youth empowerment and good governance. He worked as the Tanzania Country Director for Cambridge Development Initiative in Tanzania (CDI), supporting the organization to establish operations in the country. Ocheck is a Fellow at the Young African Leaders Initiative (YALI) and at the Youth Leadership Forum (YLF) Dar es Salaam. These experiences have equipped him with leadership and managerial skills critical to his current work. An experienced facilitator, he enjoys engaging with young people and has also spoken about youth empowerment at numerous conferences and events globally. Humanity and collaboration are the critical values at the core of his professional and personal journey. He currently works part-time with Tanzania Bora Initiative as a Governance program consultant. His mantra is “No change without Youth being at the centre of it. Youth are the ones who hold the future and are the future”.